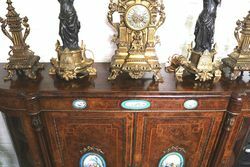 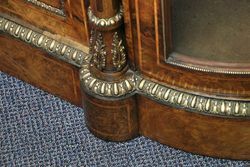 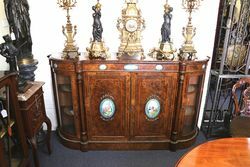 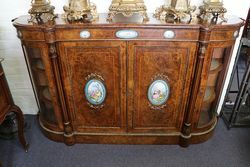 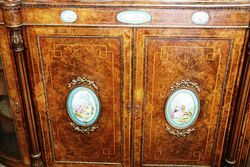 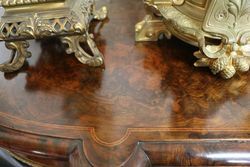 Wonderful Quality Antique Burr Walnut 4 Door Credenza. 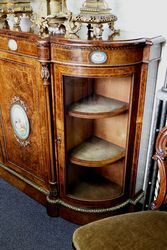 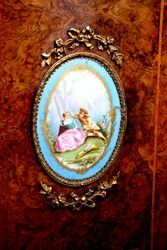 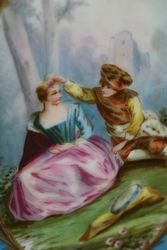 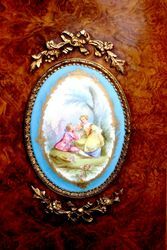 This Stunning piece is Fitted with Ormolu Mounted Sevre's Porcelain Plaques and Ormolu Moldings.. 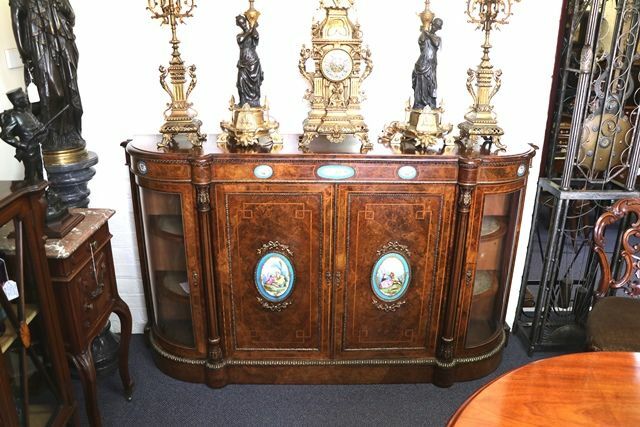 This Beautiful Credenza is Quite Rare in the 4 Door Variety and is in Lovely Condition.